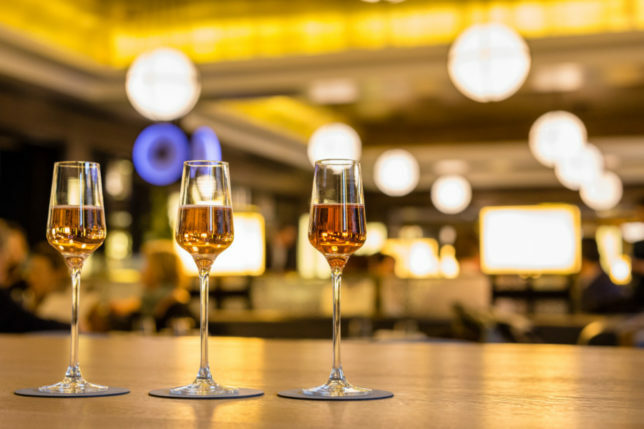 Conveniently located in one of Europe’s most stylish train stations, St Pancras Brasserie by Searcys pays tribute to the golden age of travel. 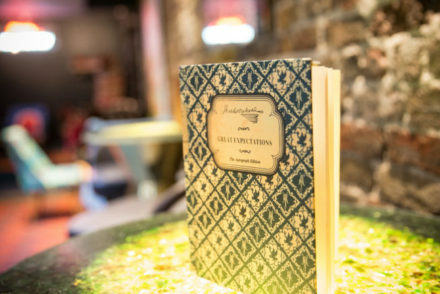 Stylish decor includes old station clocks on the walls, private booths and vintage-inspired lighting, making it the perfect location for a relaxed weekend brunch in style. 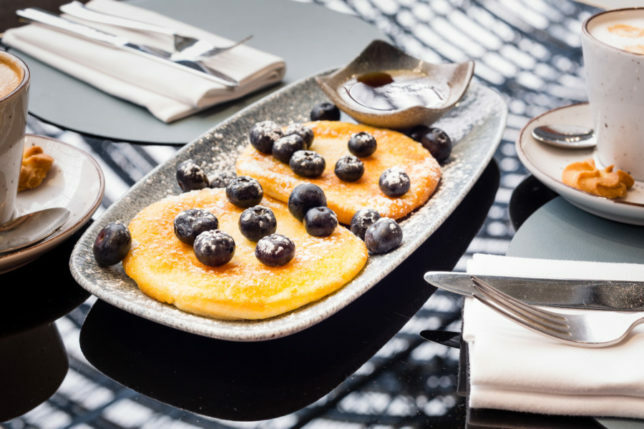 St. Pancras Brasserie has launched a lavish new Sunday brunch menu created by executive chef Colin Layfield. 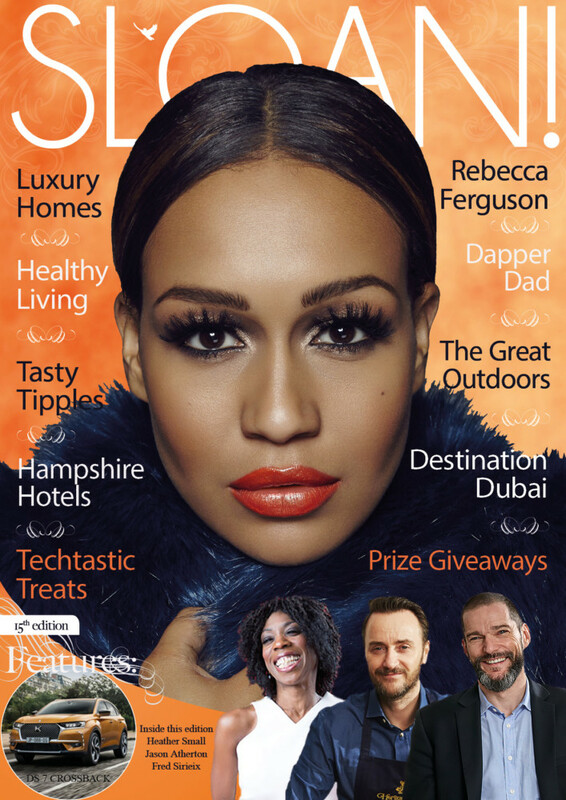 The special menu showcases seasonal English fare at its finest, with over 25 hearty dishes synonymous with a leisurely Sunday morning. 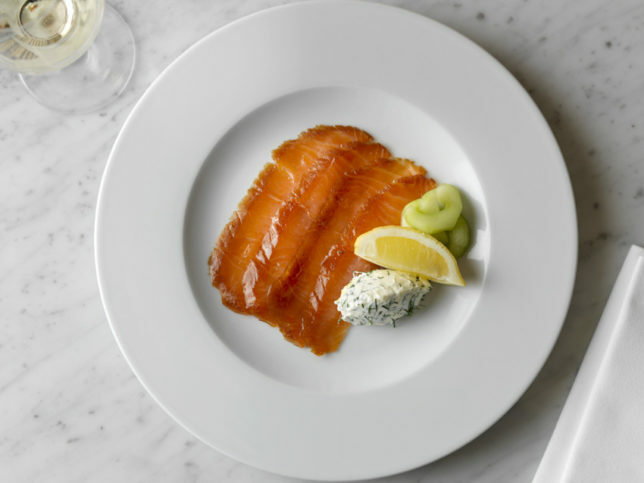 Highlights include light dishes such as Scottish sherry smoked salmon with avocado and lemon. 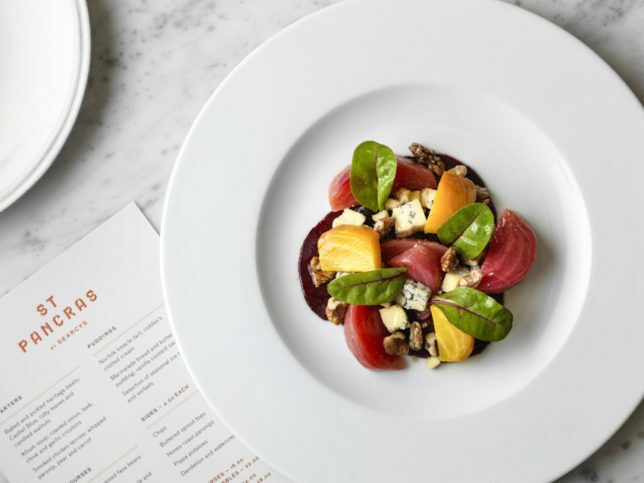 In addition to five exquisite egg dishes on offer from Benedict to Royale, there is a colourful vegetarian option of Cheltenham beetroots with chicory, watercress salad, Yorkshire blue cheese and candied walnuts. 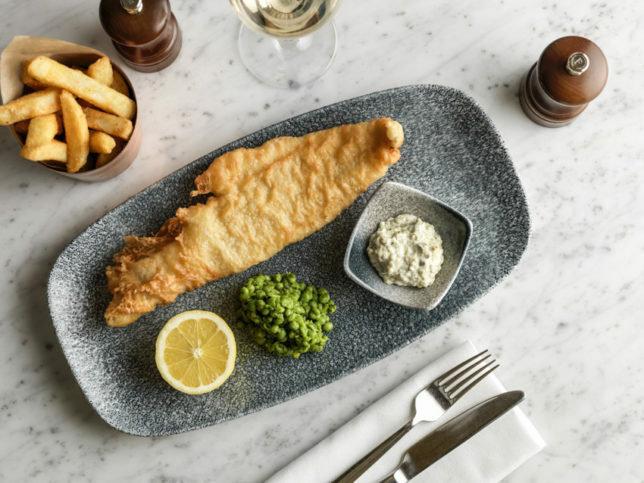 More substantial dishes include Freedom pale ale battered haddock with minted peas, chips and tartare sauce. 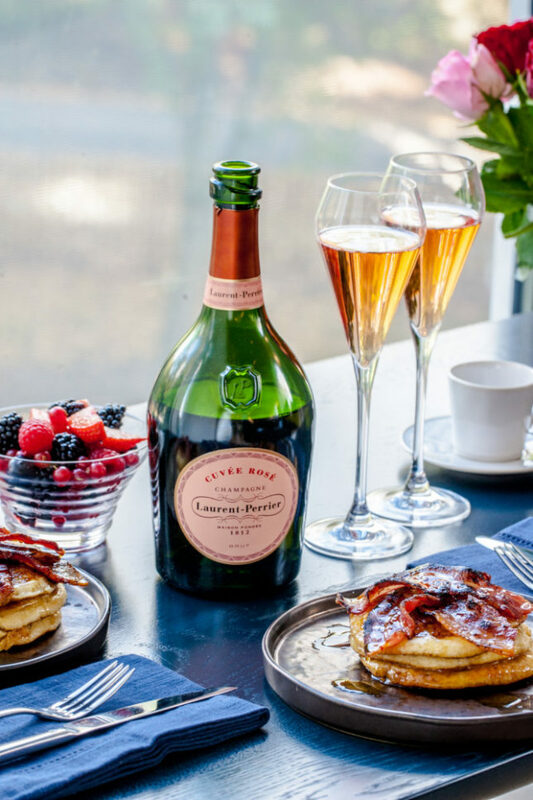 The Sunday Brunch comes with an accompanying bottle of Laurent-Perrier Cuvée Rosé champagne to take your brunch game to the next level – perfect for those special moments. Champagne Laurent-Perrier is one of the most distinguished, family-owned champagne houses. 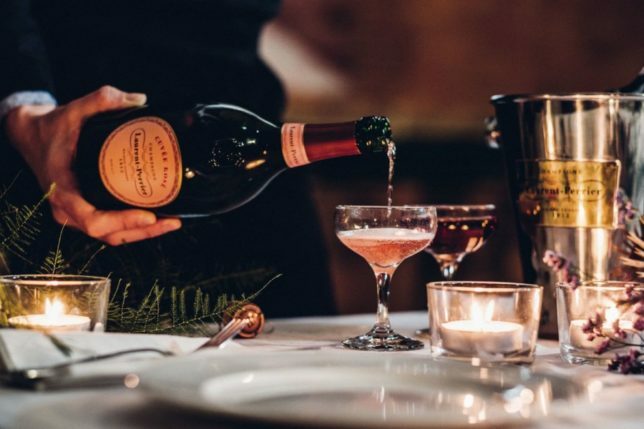 The house style is the product of visionary Bernard de Nonancourt who, as early as the 1950’s, began creating champagnes underpinned by freshness, delicacy and elegance. With its expressive bouquet and fresh raspberry and wild cherry notes, the iconic Cuvée Rosé is the perfect partner for this sensational brunch. From the Bakery And Bowls menu, the Chia with coconut, almond and kiwi is one of the vegan options at St Pancras Brasserie and is made with a blend of almond milk and coconut milk for a creamier texture. 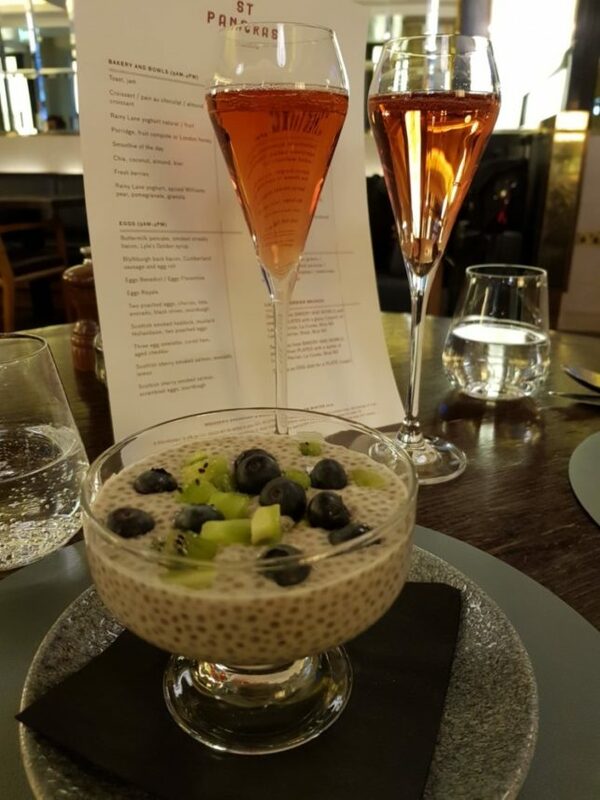 The combination of the creamy chia with the freshness of the blueberries and kiwi makes this light dish the perfect opening for Sunday brunch, leaving you room to enjoy one of the larger Plates. 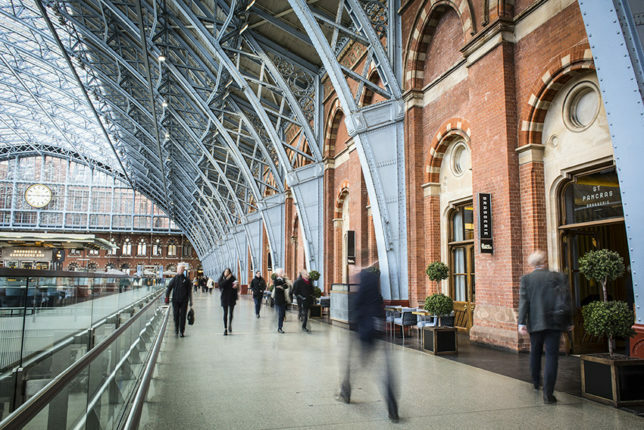 This year, St Pancras Brasserie is introducing even more vegan dishes over the coming months so that all plant-based dishes will be suitable for both vegetarians and vegans alike. 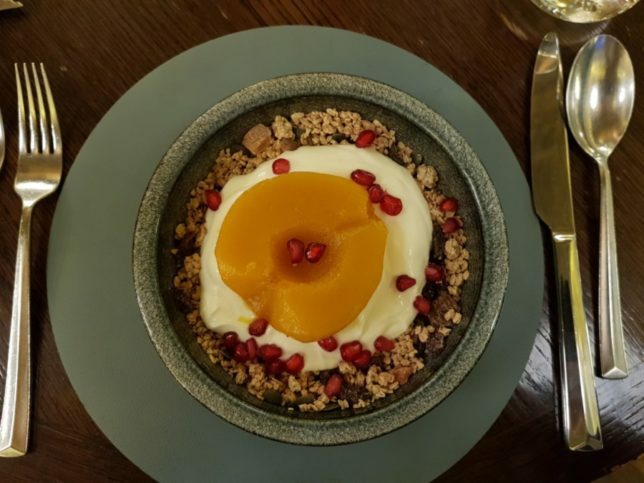 For those who want a twist on a more traditional breakfast, we highly recommend the Granola with Rainy Lane yoghurt, spiced Williams pear and pomegranate. A heartier way to start brunch, the subtly spiced poached pear contrasts with the cool freshness of the yoghurt and the crunchy texture of the granola to keep this dish lively and interestingly to the last moreish bite. A highlight of the Plates menu has to be the Roast of the day – we enjoyed leg of lamb on our visit. 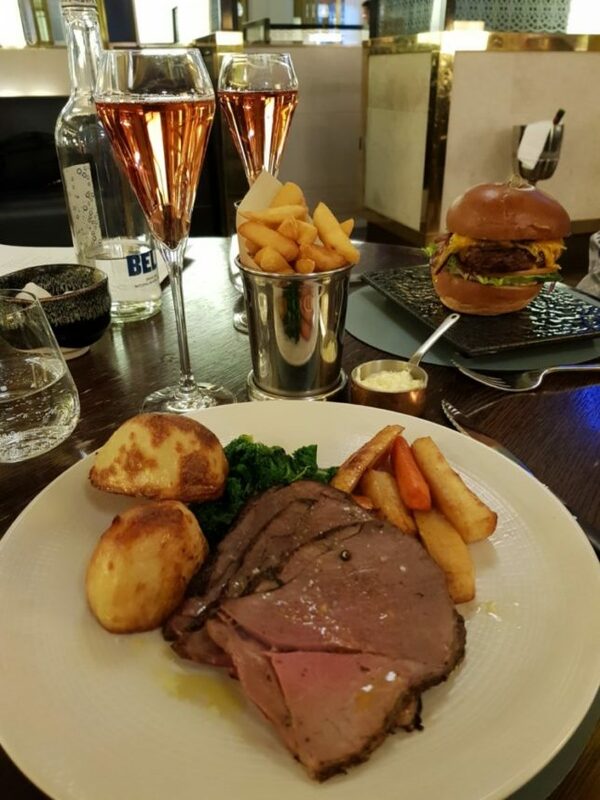 Who could resist a good old fashioned roast on a Sunday and this meaty dish is something that St Pancras Brasserie does well. The roast parsnips were flavourful and the crispy roast potatoes were soft on the inside, both paired perfectly with the medium-well done meat and the juicy lamb jus. 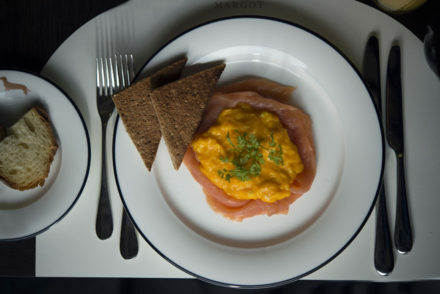 With a glass of the popular Laurent-Perrier Rosé, this was a heavenly brunch without compromise. 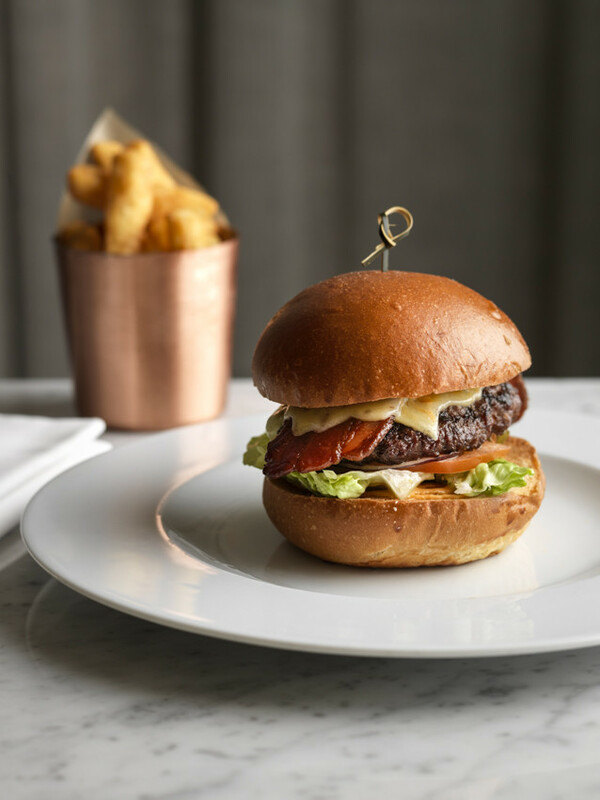 For those looking for something indulgent for their main brunch dish, the famous Searcys burger packs a punch with a juicy meaty burger complemented by tasty dry cured bacon and your choice of either robust blue cheese or a strong aged cheddar. Served with a generous portion of chips, this burger was a firm favourite. For a sweet end to this delicious Sunday brunch, who can resist the lure of cheesecake?! The baked vanilla cheesecake comes with the seasonal flavours of pumpkin ice cream. 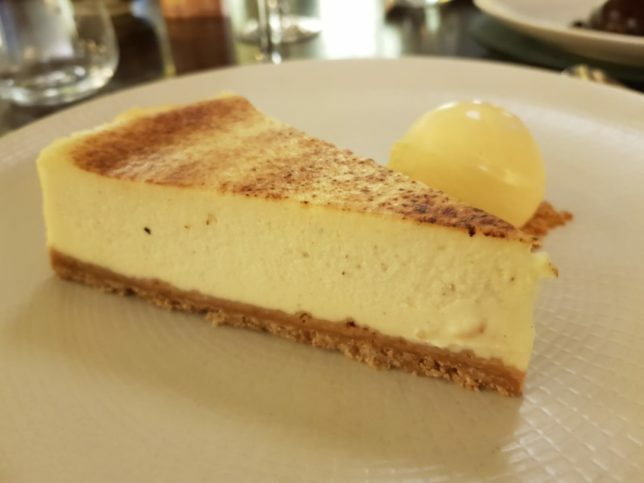 The cheesecake is not too sweet and satisfyingly dense in texture. Each mouthful is worth those extra trips to the gym! For chocoholics and those looking for something a little lighter, we highly recommend the chocolate mousse served with chocolate sorbet. 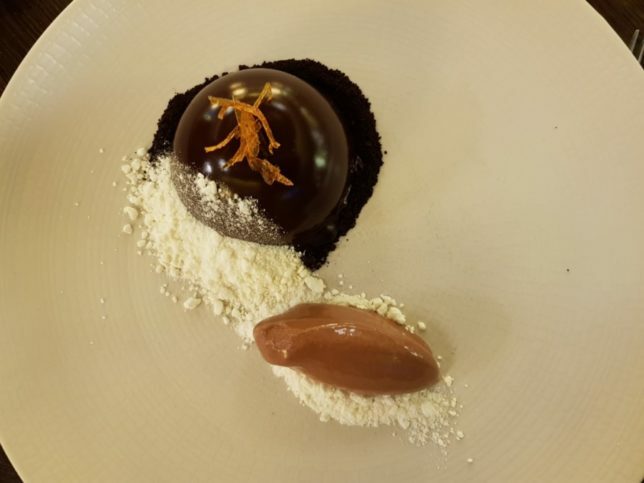 The fluffy mousse is coated in a chocolate glaze and topped with candied orange peel and is served with contrasting “soils” made from dark chocolate and white chocolate. The sorbet adds an extra dimension to this little piece of chocolate heaven! 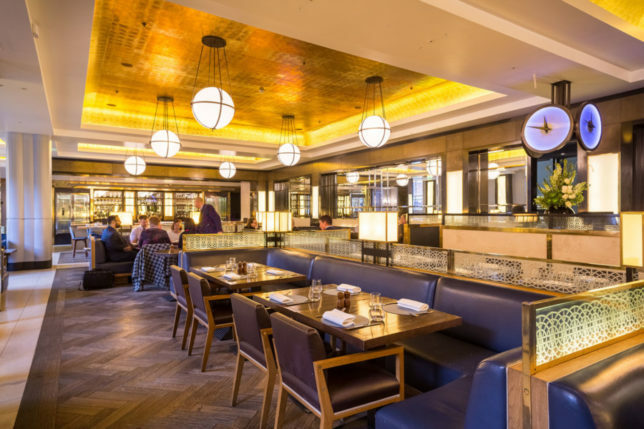 Brunch for two at St Pancras Brasserie by Searcys is priced at £165 for two guests and includes a three course meal with a bottle of Laurent-Perrier Cuvée Rosé champagne. 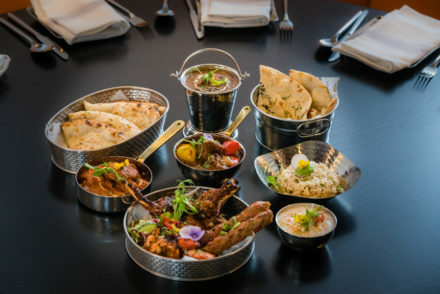 The Sunday brunch is running every Sunday from 6th January 2019.